Although we’re a long way from jazz’s 20th century heyday, there are still plenty of places in NYC to get your blues, jazz, and R&B fix that aren’t mad expensive and riddled with Scandinavian tourists. These are our picks, peppered with nods from jazz pianist Danny Fox (who plays around the city with his trio, aptly named the Danny Fox Trio. Check him out!). Jazz is hardly dead here, folks. In fact, it might just be thriving. Guys, turns out Woody Allen has been moonlighting here as a clarinet player in The Eddy David New Orleans Jazz Band every Monday night for over a decade. And he's pretty good at it! It’ll cost you to hear him though, as this part of the hotel is a supper club with a $75+ per person food and beverage minimum. On the other side of the hotel, however, you’ll find Bemelmans Bar, which has live jazz every night for a nominal cover charge. Either way, don't forget your jacket. Although it's popular for crowded late-night DJ dancing on weekends, occasionally there will be live jazz. Neighborhood people do hang out on these nights, but it’s mostly musicians. “It’s a bit insular,” Danny says. So at least you know it's authentic! 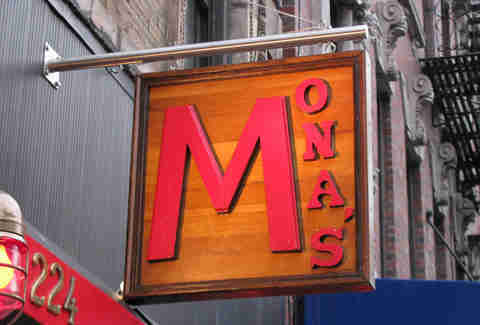 If you're determined to check out one of the iconic old-school jazz clubs, let it be this one. "This is the most special one. It hasn’t changed at all, the downstairs hasn't even been updated. It's a classic with tons of history and musicians still aspire to play there," Danny says. "Sunday nights can be more of a musician-y hang so you’ll see more playing. Not necessarily 80-year-old legends, but it's the last night to catch that musician who’s visiting, so people come out." A lot of young musicians come here to jam and hang out, kind of like the jazz equivalent of an open mic night. And you can be the beneficiary of that! There’s a reasonable cover charge, $5 beer-and-a-shot specials Monday through Friday, very little attitude, and a pinball machine, which is weird because those things make a lot of noise. Trios and quartets play long sessions late into the night. “It’s low key, not a big production,” Danny says. In a longstanding series, Harlem jazz vocalist Annette St. John and her trio croon to you over top-notch chicken & waffles every Sunday from 11am-4pm. If you don't have a billion dollars to blow at the Rainbow Room, this is your best bet. 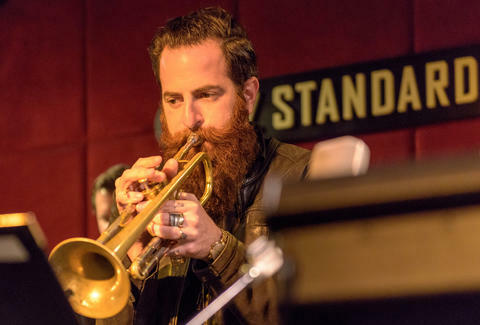 Like Smalls, it was opened by Mitch Borden and pianist Spike Wilner (in the same space where the legendary Bradley's once resided), but unlike Smalls, shows won’t run into early morning hours. You could advance purchase a seat, but you don’t have to -- walk-ins are welcome. Saucy blues singer Sweet Georgia Brown makes Thursdays and Fridays special with growly versions of songs like "Car Wash," but hear live music (piano, Dixieland, and R&B styles) almost every night of the week, and for no cover charge. The bar draws a great mix of people who have been coming for years and recent grads in fleece Patagonia vests. For $15, you'll get you a whole night of live band Lindy hopping, jitterbugging, waltzing, foxtrotting, and freestyling, plus a free half-hour dance lesson taught at 9pm by a professional instructor in the event you don’t actually know how to do any of the dances listed above. 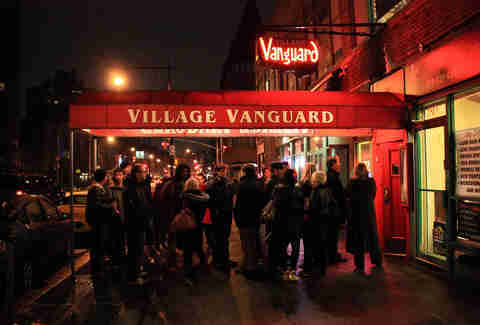 “A nice room, the sound is good, they get good acts, and good food,” says Danny in a pretty good review of one of the biggest jazz venues in NYC. And that good food? Blue Smoke BBQ. It's a bar and restaurant at its core, so you won't be sure what you enjoyed more -- the nightly hot jazz or the the oyster happy hour and bourbon cocktails. Eschew uppity jazz scenes and opt for the basement bar, a relaxed remnant of NYC’s Prohibition past. The first of the two nightly shows has no cover, but the second, which usually features bigger players, typically won’t run you more than $10. A lot of musicians, young and old, come by this dive on Tuesdays from 11pm-3am to sit in on jam sessions with the house band. “It’s kind of a younger crowd, but some older folks come to check it out,” Danny says. 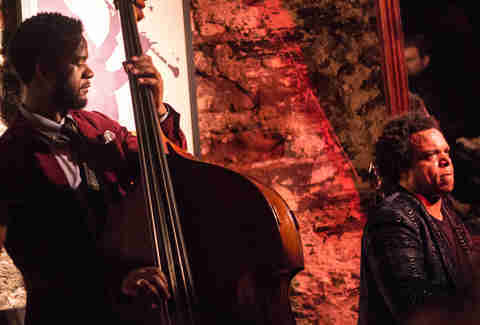 Every Friday and Saturday, the basement of a Harlem brownstone comes alive with the sounds of the Harlem All Stars and Bill Saxton's saxophone. The BYOB is super small -- definitely make reservations online. Carrie Dennis is an associate editor for Thrillist and played the trumpet until eighth grade when she quit because she didn't want to carry it back and forth from lessons. This is one of many deep regrets. Toot at her on Twitter: @CarrrieDennnis.